Home Everything else 15 Best Gadget Cable Organizers and Holders. Collection of ‘Best Gadget Cable Organizers and Holders’ from all over the world to keep your cables neatly organized. Magnetic Cable Tie: It is a handy magnetic cable tie for your earbuds, smartphone rechargers, USB cables and more. It comes with magnetic ends that let you to quickly fix in place unlike other cable ties. 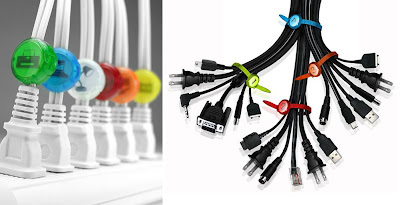 MaCO: MaCO is a magnetic cable organizer that keeps your cables neatly organized. Designed particularly for headphones, smartphone rechargers, iPad rechargers, and wide range of cables, it attaches to wall or on desk to keep cords from falling.Cable Pivot: These desktop cable organizers crafted from aircraft-grade aluminum keeps your desk neat and cables organized. QooQi: QooQi is crafted as one-piece aluminum desktop cable organizer that’s easy to use and can manage up to 5 cables.Jakket: Jakket is a compact, easy to wrap cable management gear for iOS, iPhone, iPad, iPod. Cable Fondlermini: This bamboo cable holder keeps your cables organized on your table.Not Knot: Not Knot is a cable organizer that protects your headphone buds, volume controls, USB ends, measures less than 1 millimeter thick and easily folds flat for handy storage when not in use. Snable: Snable lets you securely manage multiple cables of varying sizes, manage ear buds and more.Stikey: Stikey is a portable magnetic stand for smartphones, tidies up your cables, easily attaches to your keys, and comes with a magnetic wall holder that is part of the packaging.Cablenizer: The Cablenizer comes with a unique self-locking feature that ensures your cables are at perfect length and remains untangled.CableKeeps: CableKeeps secure your USB docking cable to power adaptors of iPads, iPhones, and iPods and keeps them neatly organized.Your Magnet: Your Magnet by LufDesign has an array of applications, including cable organizer, smartphone stand, key holder, toothbrush holder and many more. 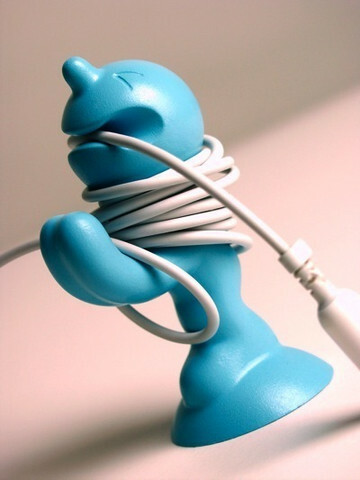 One Man Tied: Organize your home or office by tying this little guy all with gadget cables, lamp cords and extension wires. Dotz Cable Straps and Identifiers: It has 10 reusable-colored Dotz that come with 24 ready to use icons and 12 do-it-yourself icons. 15 Coolest Gadgets for Photographers – Part 3. Previous article15 Essential Travel Gadgets for You.